Liburan Ke Bali … Bingung Mau nginap dimana? Get up to 50% off internet rates. Valid until June 30, 2007. Reserve online or contact us at sales@mentarisanur.com tel 0361 283286. Stayed at Mentari Sanur Hotel one night only due to plane delay, would come back again as staff are friendly & welcoming, & you can’t beat the facilities, including a great pool & the green garden. big rooms, Very friendly staff, and the location not far away from beach, we can got it with walked by foot. value for money. could have done with more choice at breakfast. staff friendly. We stayed in Mentari Sanur Hotel…about 20 minutes from Kuta..
nimmt, der verlebt dort einen erholsamen Urlaub! Stayed here back in 2001 when hotel had been open for a year or so,so I thought I would try it again.The staff are very friendly and helpful,and the pool and grounds are great.The bathrooms are getting a little tired and could do with an up-date.But apart from that all is still well. A good place to spend a couple of nights if you are traveling round and want a cheap hotel with a pool to do some swimming and sunbathing. We loved staying at this hotel. 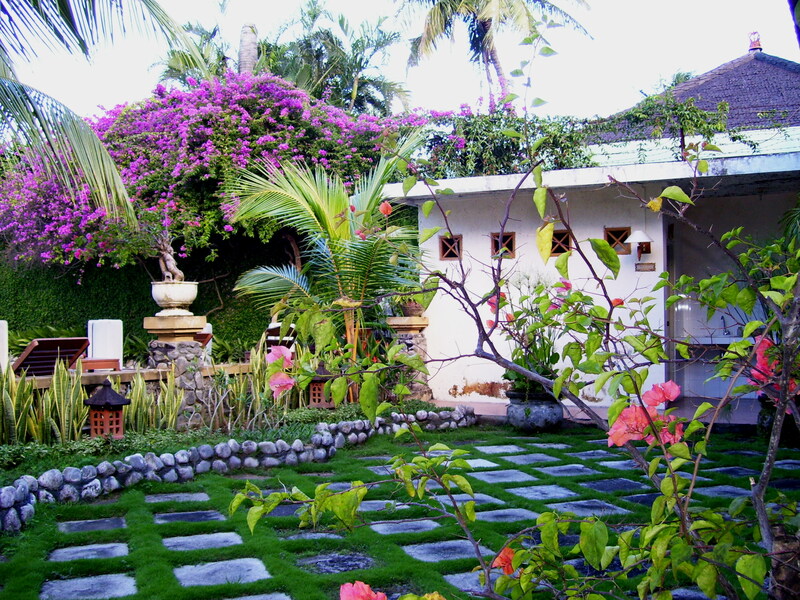 The grounds were beautiful, well-groomed and very Balinese. The restaurant was tasty and comfortable. The pool was excellent for families with children as no part got too deep. But most of all the staff made the stay very enjoyable. They helped us with every aspect of our trip needs.